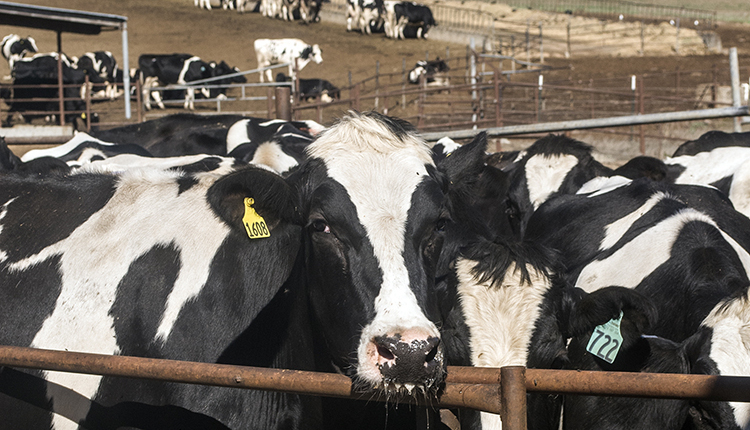 New USDA milk production costs tell a vastly different story down on the farm. 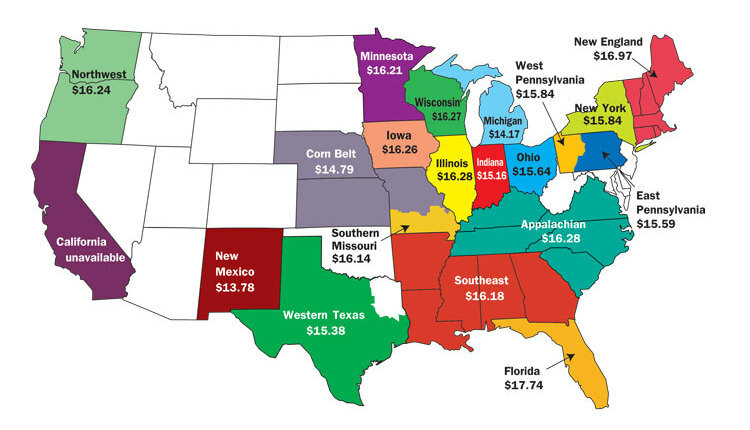 That is according to new milk production cost data recently released by USDA’s Economic Research Service. 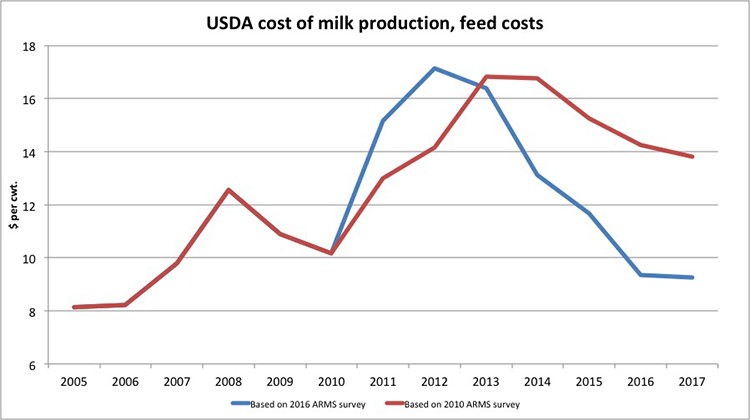 This data utilized the 2016 Agricultural Resource Management Survey (ARMS) that provided a detailed collection of dairy data including costs of producing milk. This data paints a vastly different picture than the previous data from the 2010 ARMS survey. This new look at production costs provides one reason why annual milk production has expanded every year since 2009. 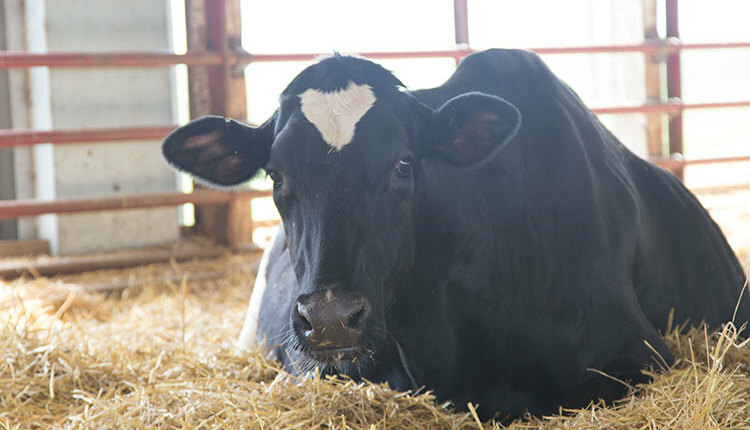 However, the data also describes a very different financial situation for the dairy industry than many producers would suggest. The figure shows that the major change to milk production cost estimates involved feed costs. 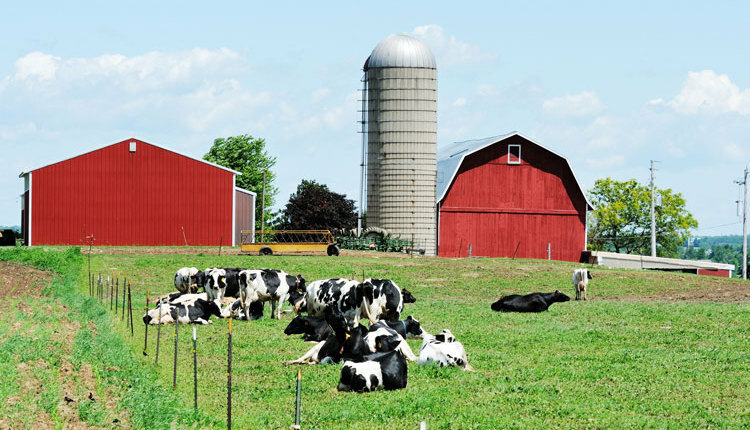 After collecting the 2016 survey data, USDA made the decision to adjust the procedure used to index the 2010 survey for the 2011 to 2015 period. 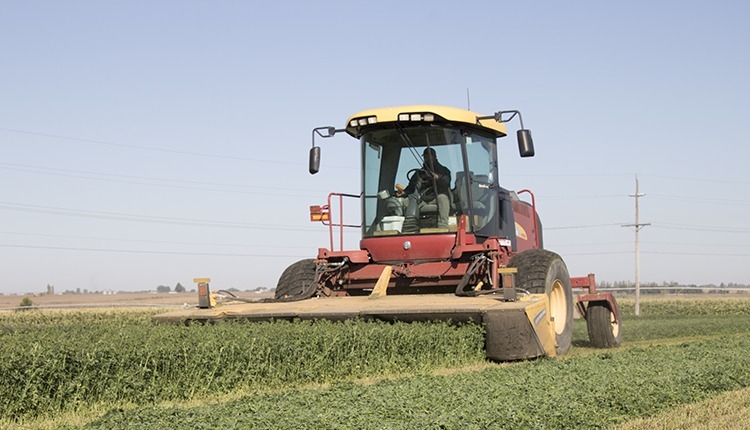 The “prices paid index” for feed grains now accounts for changes in the “purchased feed category,” and the “prices paid index” for hay and forages determines the homegrown feed cost category. This change resulted in higher feed cost estimates in 2011 and 2012 and lower feed costs thereafter. 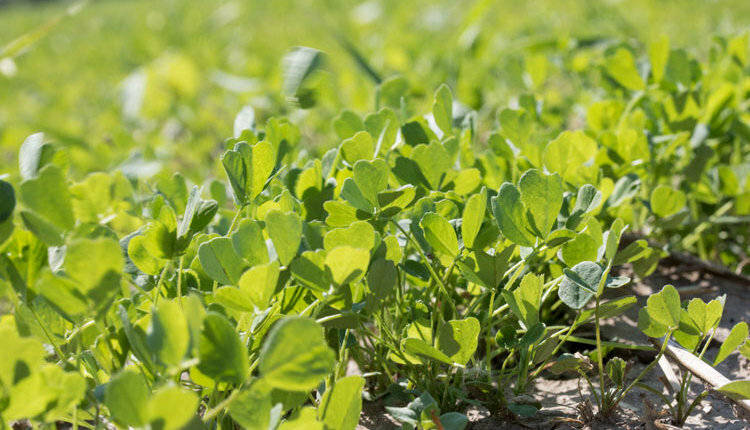 In the 2016 survey, feed costs are now nearly $5 per hundredweight (cwt.) lower than USDA’s previous estimates and are at the lowest level since 2006. The 2016 ARMS cost of production data shows total cash milk production costs at $14.87 per cwt. 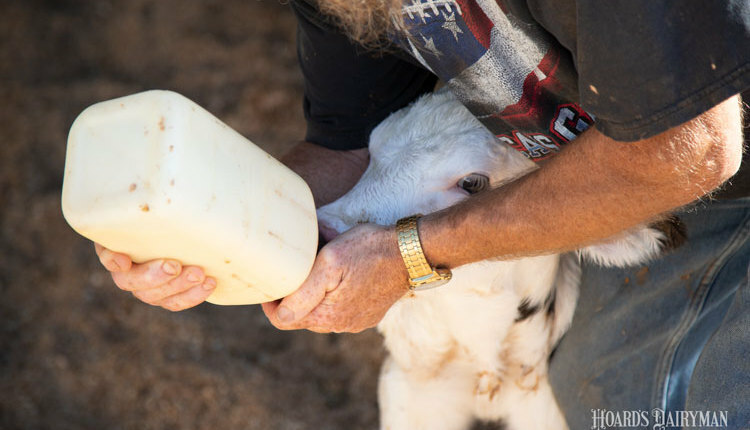 The reported All-Milk price in 2016 was $16.34, suggesting milk producers on average were able to cover total cash expenses. This result seems inconsistent with general industry perceptions at that time, which suggested a more difficult economic situation. However, this new data on feed costs aligns much more closely with the Margin Protection Program for Dairy (MPP-Dairy) formula that calculates milk price less feed costs. 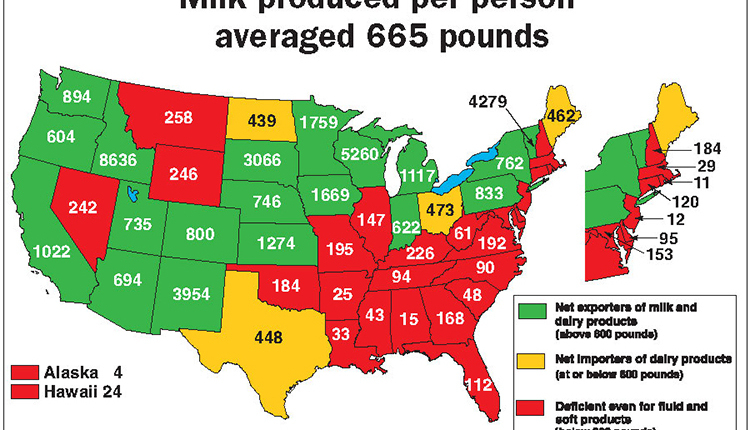 Although this new data from USDA will be questioned, it does fit better with what has been uninterrupted annual milk production growth since 2009. Of course, averages can always mask the underlying range of outcomes when it comes to milk production costs. 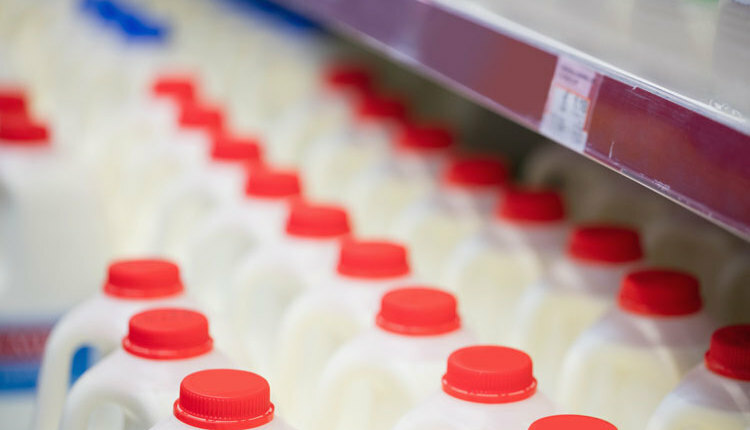 The current accelerated loss of dairy operations may be symptomatic of fewer, often larger, operations with lower-than-average milk production costs driving higher-than-average-cost operations out of business. Only time will tell the complete outcome, but this new data provides a different look at milk production costs that must be evaluated.